Mercury Drug’s founder, the late Mariano Que, became an orphan at an early age. And in order for him to get by every day, he needed to work hard. Though deprived of being able to study, Que had a background in handling medicines through working in a drugstore prior to the war. Using a pushcart, he started selling the medicine he got from a drug dealer in Bambang Street. He set himself apart by building trust with his customers. He eventually had a reputation for quality products and fair prices since the market then was filled with sellers who sometimes sold fake or expired medicine at an expensive price. I lived my life doing what I think was needed to be done. 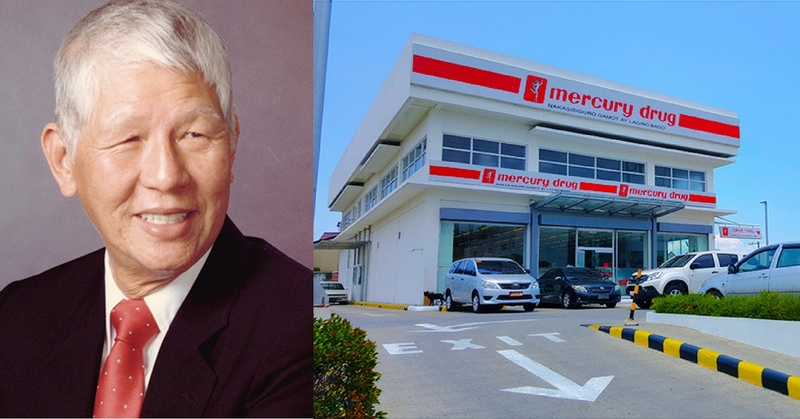 From a single cart, his profit was able to grow the business into 1,000 stores around the Philippines, creating the country’s largest drugstore, Mercury Drug Corporation. The first Mercury Drug store opened in Bambang in Manila on March 1, 1945. In the 1960s, the Ayala group invited Que to set up the second branch in Makati City. 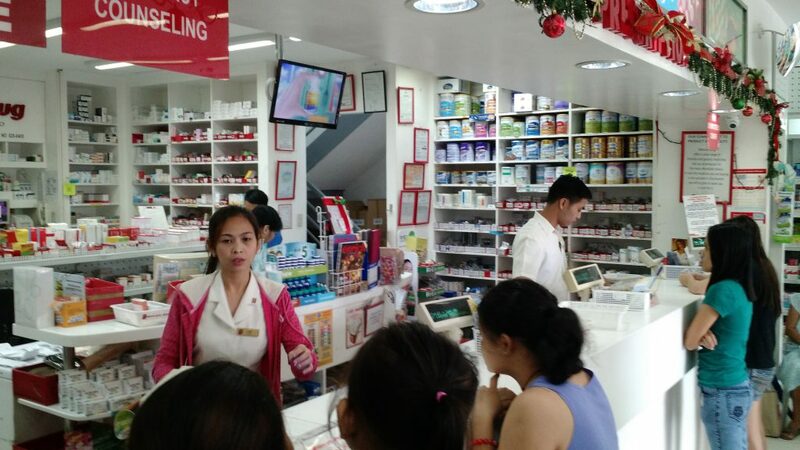 Under Que, the store became the pioneer of pharmaceutical services like using centralized and computerized warehouses and refrigerators for preserving medicines and drive-through services. It was also the first to introduce pharmacy counseling and 24/7 service. In the 1970s, he then acquired Medical Center Trading Corporation which made his company enter the business of selling medical supplies and equipment. These, along with his good work ethics, enabled Mercury Drug to gain its current reputation and big market share. In 2012, Que was given the title Father of Philippine Health and Wellness Retailing by the Philippine Retailers Association. 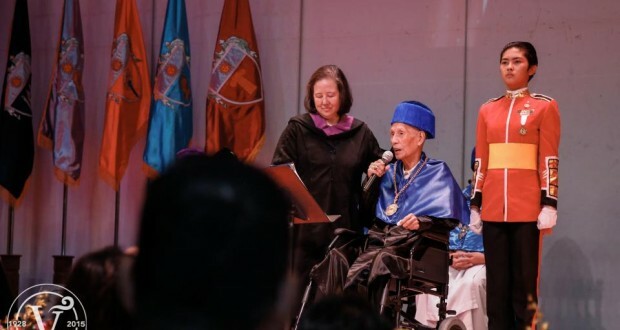 And in 2015, the University of Santo Tomas (UST) gave him a Doctor of Humanities degree for pioneering the pharmaceutical retail industry in the country and for advocating affordable medicine. Other awards he received were the President’s Award: Plaque of Merit and the Award of Distinction from the Philippine Chamber of Health and Pharmaceutical and Nonpharmaceutical Industry in 1986. Aside from these, he is also known for his foundations that help Filipinos with their healthcare and educational needs. The ‘Bantay Kalusugan’ program gives free medical consultations and screening for communicable disease while the ‘Operation Bigay Lunas’ provides free services and medicines to poor communities. The Pharmacy Scholarship Program grants full scholarship to Pharmacy students from partner schools of the Philippine Association of Colleges of Pharmacy, and the “Gawad Talino” program that acknowledges high school students who are excellent in Mathematics and Science. Que’s daughter, Vivian Que Azcona, is now the president of the company. She currently holds the 24th place in the Forbes Philippines’ 50 Richest list. She received her degree in B.S. Pharmacy at the University of Santo Tomas in 1977. In 1983, she was appointed as Vice President and General Manager of the company before becoming the President in 1998. Aside from running Mercury Drug, she also served as the director and officer of the Philippine Pharmacists Association.